Chelsea have lodged a formal complaint with UEFA over racist abuse aimed at one of their players during the closing stages of the 5-0 Europa League win away to Dynamo Kiev. The Premier League club issued a statement on Monday highlighting the incident during the second leg on March 14. 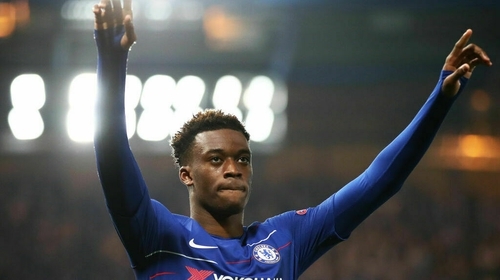 It is understood that Callum Hudson-Odoi was the player targeted. "We can confirm a report of racist abuse directed at one of our players in the final minutes of the match in Kiev from a small section of home supporters. We wholeheartedly condemn such abhorrent behaviour," the Chelsea statement read. During the last two minutes of the match, winger Hudson-Odoi, 18, brought the incident - understood to have been monkey chants from a small group of 'ultras' home supporters in the corner of the end Chelsea were attacking - to the attention of team-mate Cesar Azpilicueta.